Here is what we have for you today: leaked benchmarks of the upcoming AMD GPU. It’s fake based on R6870 vs GTX460. 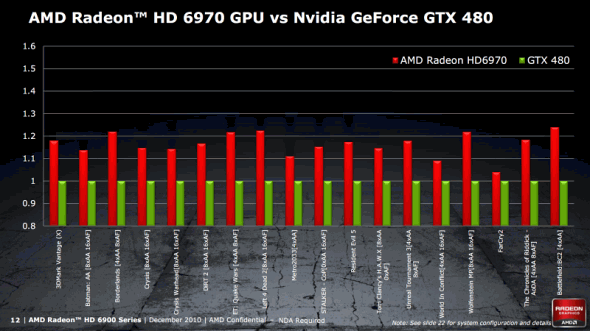 The AMD Radeon HD 6970 is really a cut above the GTX 480. 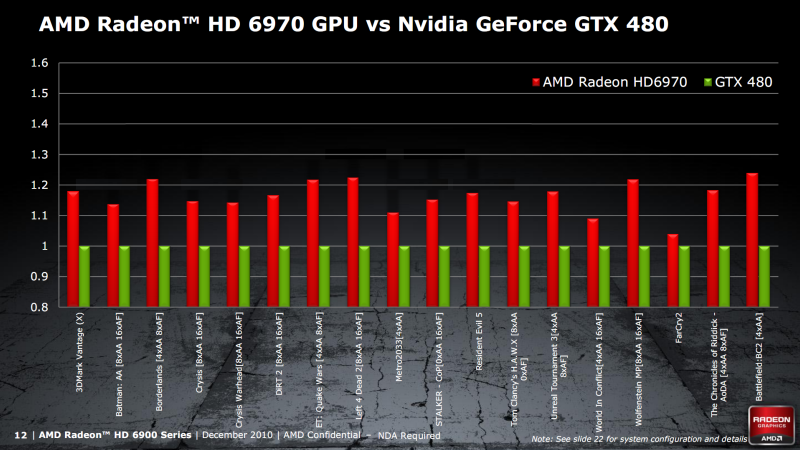 The newer GTX 570 and 580 are now the contenders for AMD. Although, the 6970 can out perform the nwer Nvidia cards.